Last month, Ranjit Kumar Chandra was denied an extension to file an appeal of his lawsuit against the Canadian Broadcasting Corporation (CBC). It seemed to mark the end of a long fall for the self-proclaimed “father of nutritional immunology,” who has ended up with multiple high-profile retractions and on the wrong end of a costly libel lawsuit. The case had a lot of twists and turns, however. So for your convenience, we’ve compiled a timeline of everything you need to know about the events that led up to the lawsuit — where it all began, and how it ended last July, when the Ontario Superior Court of Justice ruled in favor of the CBC, and the apparent epilogue this June. 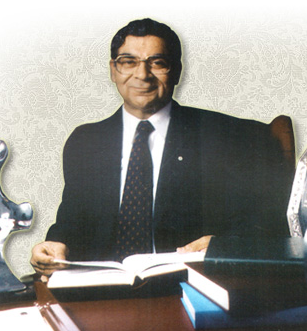 In the 1980s, Chandra was a highly regarded nutrition researcher; in 1989, he was made a member of the Order of Canada. He authored over 200 papers during his time at Memorial University of Newfoundland. He has referred to himself as the “father of nutritional immunology,” but the link to his website no longer appears to be active. July 22, 1989: Chandra publishes “Influence of maternal diet during lactation and use of formula feeds on development of atopic eczema in high risk infants” in BMJ. The paper has been cited 158 times, according to Thomson Reuters Web of Science. August 1989: Chandra publishes “Effect of feeding whey hydrolysate, soy and conventional cow milk formulas on incidence of atopic disease in high risk infants” in Annals of Allergy. The paper has been cited 137 times. October 7, 1989: BMJ issues a correction for Chandra’s paper because of editorial errors. 1992: Research nurse Marilyn Harvey reports Chandra to the Memorial University of Newfoundland (MUN) for misconduct. October, 1992: Chandra publishes a three-year followup to his 1989 Annals of Allergy paper in the American Journal of Clinical Nutrition, titled “Cumulative incidence of allergic disorders in high risk infants fed whey hydrolysate, soy, and conventional cow’s milk formulas;” it has not been indexed by Web of Science. November 7, 1992: Chandra publishes “Effect of vitamin and trace-element supplementation on immune responses and infection in elderly subjects” in The Lancet. The paper has been cited 388 times. the committee cannot accept that the Carnation study was done anywhere near to completeness or with the accuracy reported in the Annals of Allergy and Journal of Clinical Nutrition, For that matter, the same can probably be said for the Mead Johnson work published in the British Medical Journal. Despite these findings, MUN says the inquiry was the result of a flawed investigation and could not be relied upon, so ultimately it is not published. 2000: Chandra submits a paper to BMJ for publication showing that a vitamin supplement he patented could improve cognition in elderly patients. BMJ rejects it on suspicion that it seemed to exceed the capabilities of a single author. Richard Smith, the Editor-in-Chief at the time, is concerned that the amount of psychometric testing involved in the study is beyond Chandra’s ability, given that his expertise is nutrition. September 17, 2001: Chandra publishes “Effect of vitamin and trace-element supplementation on cognitive function in elderly subjects,” the paper that BMJ rejected, in Nutrition instead. The paper has been cited 83 times. this author has never been traced beyond a rented mailbox in Canada. The paper has been cited 16 times. Later, evidence would point to “Amrit Jain” as a pseudonym for Ranjit Chandra. August 2002: Following continued requests from BMJ for Chandra’s raw data, MUN informs the journal that Chandra had taken four months of unpaid leave and was ignoring their requests for the data. Chandra resigns from MUN and leaves Canada for India. June 28, 2003: A letter to The Lancet raises concerns with both the 1992 paper as well as the 2001 paper published in Nutrition, claiming the results are statistically impossible. The numerous serious questions raised about the methodology call into question the study’s veracity. Professor Chandra’s reply to repeated correspondence concerning these problems did not in our view satisfactorily provide supporting information nor explain discrepancies in his data. January 30-February 1, 2006: The CBC airs a three-part documentary on Chandra. The program identified 10 papers that were either “fraudulent or highly suspicious.” BMJ reviews the documentary, giving it a rating of three and a half stars. To determine if the manuscript submitted by Dr. R. K. Chandra to the British Medical Journal in 2000, and published in Nutrition in 2001 was in full compliance with the scientific, ethical and/or integrity standards of Memorial University at the time. October 3, 2009: MUN finishes the report of Chandra’s Nutrition paper. The report finds 41 problems with the paper and concludes the paper was not in compliance with their standards, but they do not publish the report. 2011: Chandra sues the CBC for libel and invasion of privacy. His claim is $132 million. July 21, 2015: The Ontario Superior Court of Justice rules in favor of the CBC following a 56-day trial, saying what they broadcast was true and did not invade Chandra’s privacy. October 6, 2015: The Lancet opens an investigation into Chandra’s 1992 paper, after MUN sent the journal a copy of the 2009 investigation report, and the head of the institution raised questions about the “veracity” of The Lancet paper. October 13, 2015: Chandra meets with his counsel to file an appeal for the libel lawsuit. However, this is well past the 30-day period to file. Chandra says he was unable to file earlier due to surgery in September. October 28, 2015: BMJ retracts Chandra’s 1989 paper after obtaining a copy of MUN’s 1995 inquiry. The inquiry entered the public domain as a result of Chandra’s legal action against the CBC. November 13, 2015: Chandra is ordered to pay $1.6 million to cover the CBC’s legal fees from the libel lawsuit. December 2, 2015: MUN releases its 2009 report of Chandra’s Nutrition paper. A spokesperson for MUN says they were unable to release it earlier because of Chandra’s suit against the CBC. December 3, 2015: Chandra is stripped of his Order of Canada membership. June 9, 2016: The Court of Appeal for Ontario says it will not grant an extension to file an appeal for Chandra. He is ordered to pay another $35,000 to the CBC for trying to file an appeal past the 30-day period. June 16, 2016: MUN’s 2009 report on Chandra’s Nutrition paper results in two more retractions in Nutrition Research, including the paper by Amrit Jain. The 1989 Annals of Allergy paper has not been retracted. August 25, 2016: Chandra, who appears to have been practicing medicine in Ontario, has been charged with healthcare fraud, according to the Toronto Star. We’ll update this timeline as new events arise. Did CBC ever receive any of the money they were awarded? At the end of the article it states that so far they have received no money. It doesn’t say if there was a bond put up, or assets still in Canada, otherwise they will be chasing him through the Indian court system. Fixed. Thanks for spotting it. We are not aware of any new information, so there are no plans to further investigate, or to retract the paper. It is good to see that the Lancet is so protective of its contributors. Kumar was actually stripped of the Order of Canada on Dec. 3, 2015, not Jan. 8, 2016. Thanks for the catch. We’ve updated the post with this. and a paper in Nutrition Journal about the latter (www.psych.upenn.edu/~saul/sternberg.roberts.pdf).